Achieving 40 percent of the vote – a record breaking 10 percent increase on its 2015 performance – Jeremy Corbyn’s Labour Party carried off one of the biggest political upsets ever at the 2017 general election, dealing a serious blow to the Tory government and broader neoliberal ideology. Steve Howell, the Deputy Director of Strategy and Communications in the Labour leadership team, gives a detailed and engaging insider account of this game changing campaign. Diplomatically written, there are no big reveals. However, there are many interesting nuggets of information that will be of interest to activists. 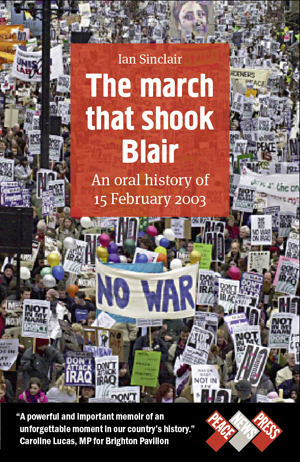 Though Corbyn’s team defines itself in opposition to New Labour, much of the political methodology of the Blair era continued to play a vital role: focus groups were used to road-test soundbites, media contacts carefully cultivated and communications agencies employed. Social media strategy was central to Corbyn’s success, Howell argues, allowing Labour to bypass the mainstream media. They advertised on Snapchat, invested significant energy in Twitter and Facebook and purchased Google Adwords, meaning a Labour advert would appear next to Google searches of terms such as “Dementia Tax” and “Shoot-to-Kill”. Howell also emphasises the influence of Bernie Sanders’ popular campaign for the Democratic presidential nomination, which he witnessed first-hand in California. Though Corbyn’s large ‘Feel the Bern’-style rallies were derided by many commentators for preaching to the converted, an LSE study found the Labour vote share rose by almost 19 percentage points in constituencies visited by the Labour leader. Imitating Sanders’s strategy, Labour even employed a “narrative consultant”, with Howell seeing the effective deployment of emotive “narrative arcs” highlighting Labour’s positive and “transformational” offer to the nation as the key to victory. One note of caution appears during the BBC Question Time Leader’s Special, when Howell notes Corbyn looked uncomfortable answering questions about whether he would ever use the UK’s nuclear weapons (retaining Trident is Labour Party policy, even though Corbyn himself is a lifelong anti-nuclear campaigner). With the Tories bound to focus on this potential weakness at the next election, this is an critical issue where peace activists have the knowledge and organising skills to make a positive intervention. Because while Howell’s book naturally focuses on the role of the leadership team, it is important to understand it is the mass movement/s behind Corbyn that played the decisive role in getting him elected Labour leader, protected him from attempted coups, underpinned the extraordinary 2017 election result – and will likely be the deciding factor at the next election too. Game Changer: Eight Weeks That Transformed British Politics is published by Accent Press, priced £15.99. This entry was posted in Media, Protest/activism, UK Domestic Politics, UK Foreign Policy, US domestic politics and tagged BBC, Bernie Sanders, Jeremy Corbyn, Labour Party, Steve Howell, Trident on August 10, 2018 by ianjs2014.